Rumours of rift with Tej Pratap Yadav and Tejashwi Yadav gained momentum after the former stepped down as the patron of the Rashtriya Janata Dal’s students wing in March. 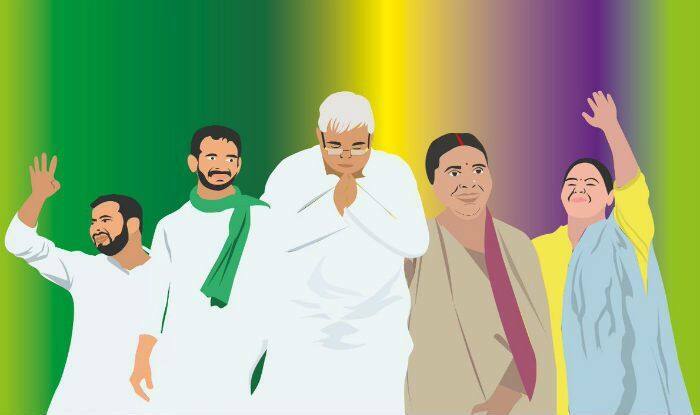 New Delhi: Tej Pratap Yadav, the elder son of Rashtriya Janata Dal (RJD) supremo Lalu Prasad, on Sunday put all the speculations of rift within the family to rest by sharing a family picture on micro-blogging website Twitter. “Jo mere aur mere parivar ke beech aayega, uska sarvanash nishchit hai (Whosoever comes between me and my family will be destroyed),” he captioned the picture. Interestingly, the post came a few hours after the former health minister of Bihar took a veiled jibe at his younger brother Tejashwi Yadav and compared him to the mythological character, Duryodhan. Following this, Tej Pratap on April 1 launched his own political outfit- ‘Lalu Rabri Morcha’ in Patna. Speaking to Zee News, he had hinted at a rift within the family by saying that he had asked Tejashwi for two tickets but didn’t hear from him. He said, “I am willing to sacrifice my life for my people.” He added that patriarch Lalu Yadav should realise that the RJD is because of the public but, he rued, his father doesn’t get to hear many things.